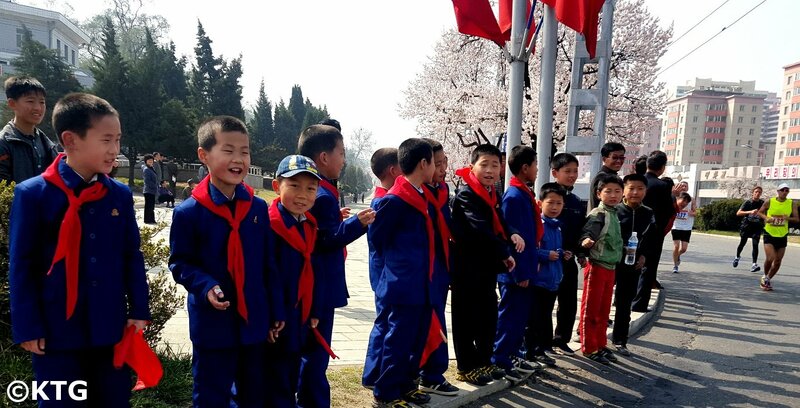 Fancy exploring Pyongyang jogging? 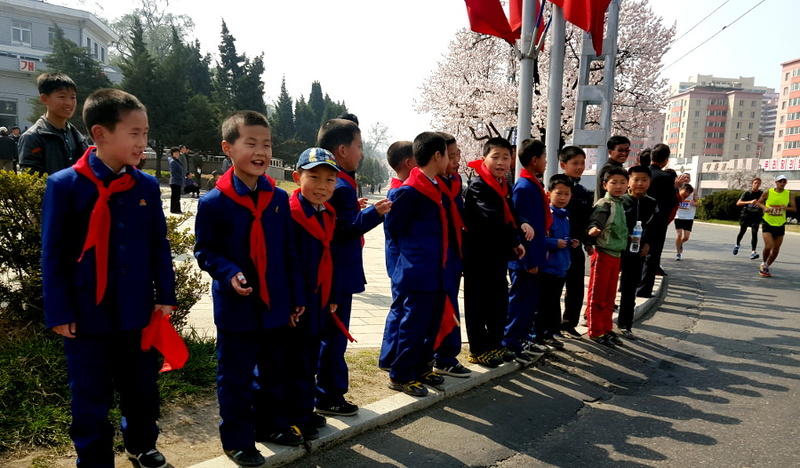 How about being cheered by tens of thousands in Kim Il Sung Stadium? 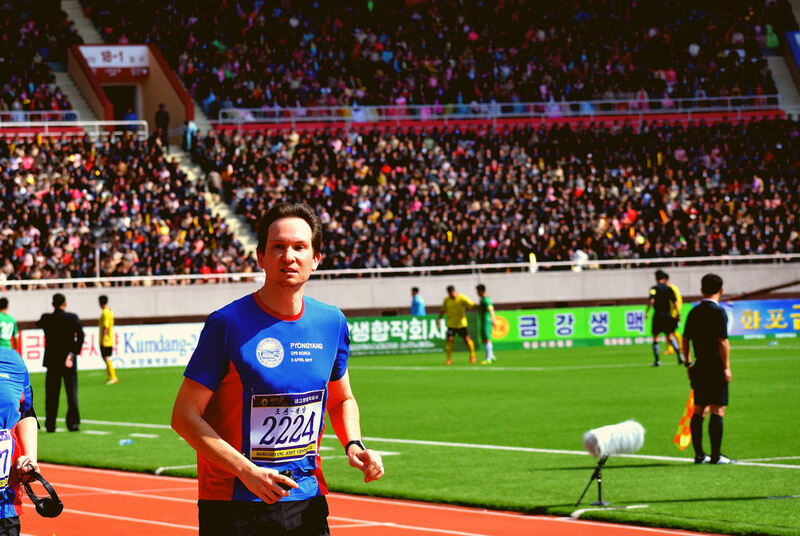 Look no further and sign up for the Pyongyang Marathon! Races range from 5 km to the full 42 km marathon. 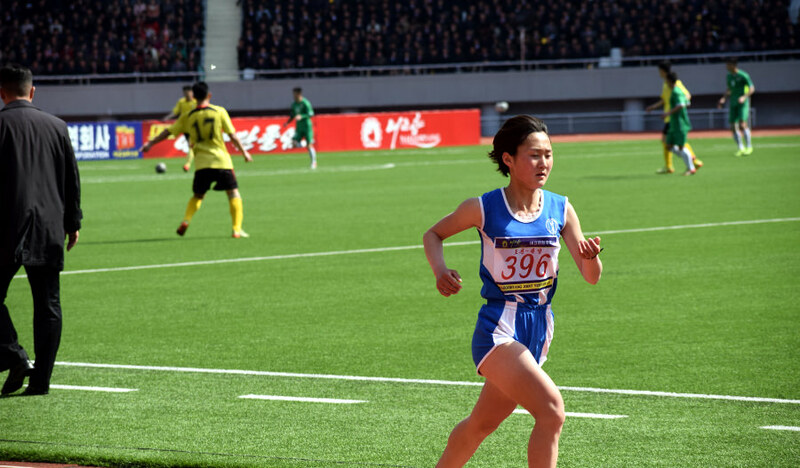 Those not running will be able to see a football match between two top DPRK football teams. 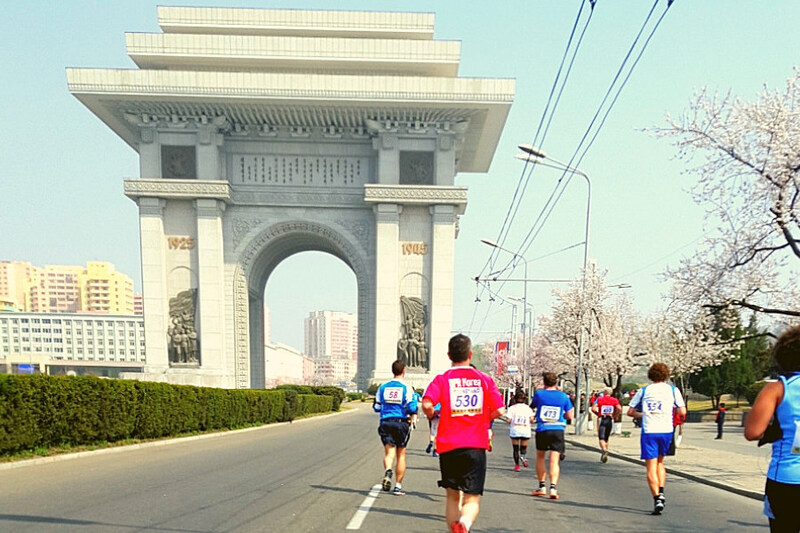 Subscriptions with KTG® are opened for the 2019 Pyongyang Marathon. If not running you can see a football game between two top North Korean sides! 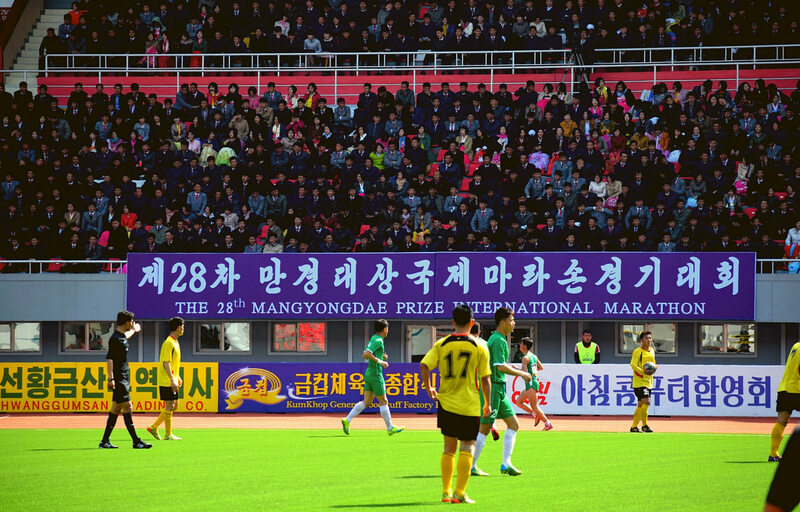 Those not running were able to see a football match held in Kim Il Sung Stadium between two top DPRK football teams. The opening and closing ceremonies will take place in this stadium with tens of thousands of Koreans cheering both Korean and foreign runners on. 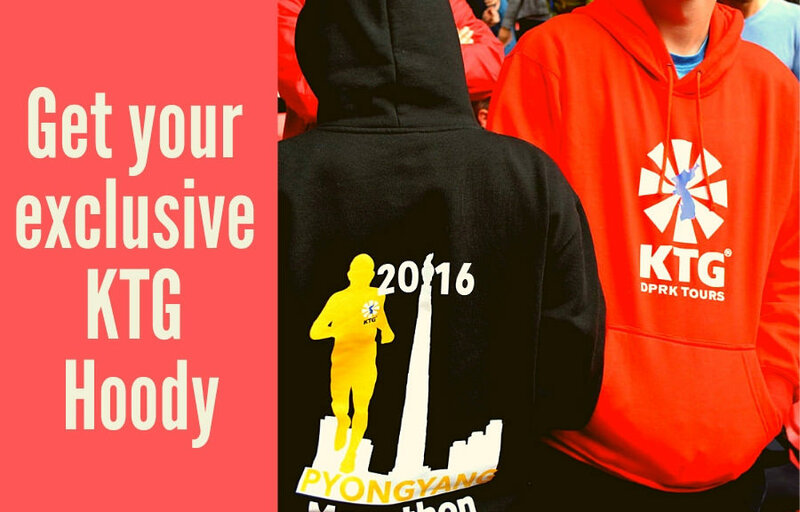 Get your free KTG Pyongyang Marathon Hoody! Please note that this is NOT official Pyongyang Marathon merchandise and just a souvenir from us. 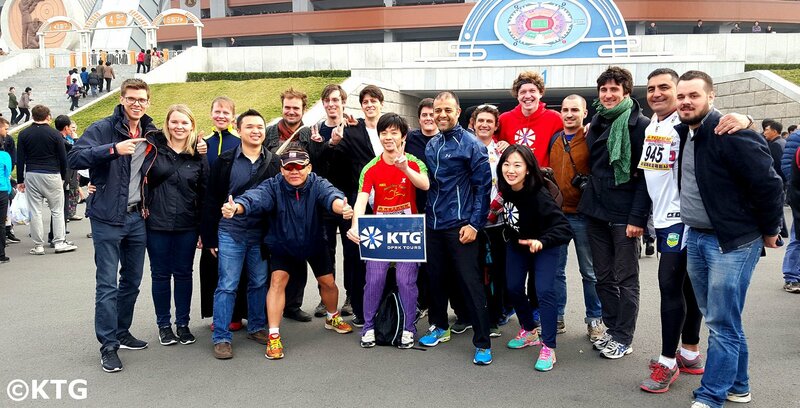 Book before 31 December and get a free KTG Pyongyang Marathon Hoody! This hoody is not official marathon merchandise and is just a souvenir that we prepare for our own runners. Official marathon merchandise can be purchased in Pyongyang. 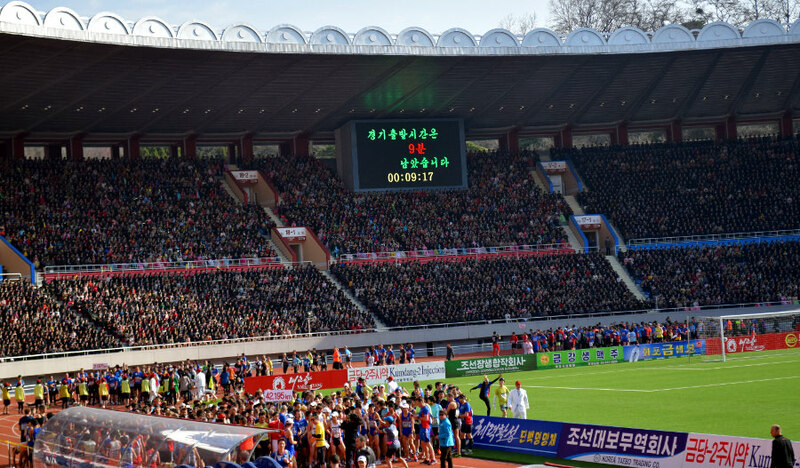 The venue for the Pyongyang Marathon in 2016 was was changed from the Kim Il Sung Stadium, which was under renovation, to the May Day Stadium which incidentally is the largest seater stadium in the world with capacity for 150,000 people! 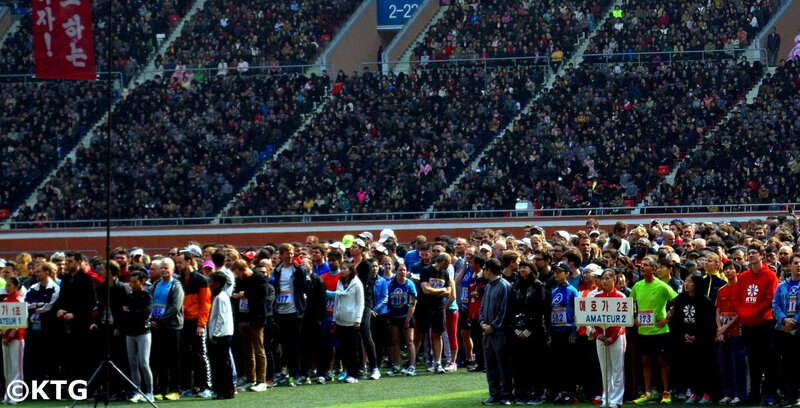 Although the top stands were not full, the atmosphere was again electrifying with thousands of Koreans cheering on both Korean and foreign runners. We are now accepting bookings for the 2019 Pyongyang Marathon. Do please sign up soon as we will have a limitation on the number of people! Our tours are as shown below. Pyongyang Marathon runners heading towards the Arch of Triumph. 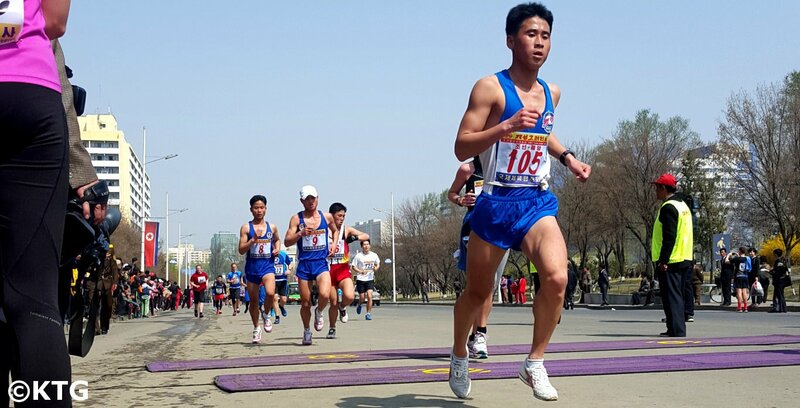 All races, regardless of the distance, will allow you discover the streets of Pyongyang by foot, not to mention to be cheered by tens of thousands at Kim Il Sung Stadium when starting and finishing! If interested we recommend you to contact us soon as it will be hard to book transportation for late applications!